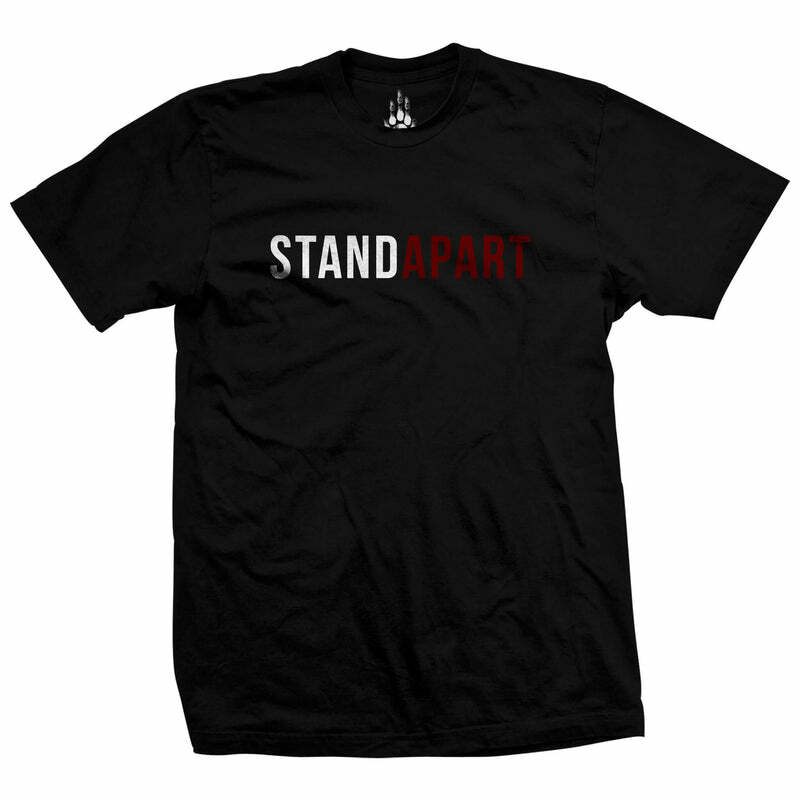 The #StandApart Tee is for me what i stand for on a dailybasis. to dont be a cookie cutter.. STAND APART!! I have been following MANIMAL STRONG for a while now and i have grown to appreciate for what the MANIMAL brand stands for, simply putting the best quality product on the market while holding firm standards in that the "Big Box" clothing/Cr*$$Fit Brands has fogotten who made it what it is today. The small business owners/clients that stick to their guns and push hard, push forward for improvement within themselves and helping improve others, not just the wallet.